Singling out strong sales for next-gen disc players, Amazon.com says the 2007 holiday shopping season was its best yet. According to a company press release, Amazon customers ordered more than 5.4 million items during the retailer's busiest day (December 10th) -- that's more than 62 items per second. The company went on to say that it had sold enough high-disc players during November and December to cover seven football fields. The residual effects of such strong next-gen hardware sales appeared to be in full force late Wednesday, as HD DVD and Blu-ray discs dominated Amazon's real-time list of top-selling DVDs (fueled, no doubt, by a pair of post-Christmas sales for both formats -- see related stories below). "We are very grateful to our customers," said Jeff Bezos, founder and CEO of Amazon.com. 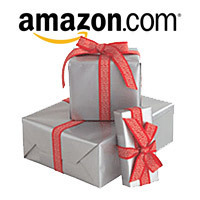 "On behalf of Amazon.com employees around the globe, we wish everyone happy holidays and best wishes for 2008."